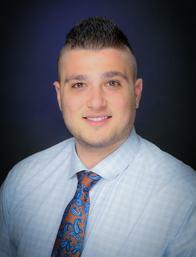 I’m Giovanni Albano & I’ve been an Allstate agent for 2 and a half years and have studied for my OTL license. I’m also a Chamber member with Allstate. This wide range of experience has provided me with the knowledge needed to serve my customers with the best quality, care and advice. I’m a proud local representative who is also pleased to call Markham home. As an Allstate agent, employee and neighbour of our community, I’m proud to bring good to life right where I live – supporting and strengthening our communities by coaching sports & volunteering at local community events.